The 2014 tennis season has started and the team has had a really good start. As of March 24, the girls have an overall 4-2 record and 2-1 in conference play. The team is composed of six girls: Masha Andrianov, Haley Cantwell, Karina Katova, Natalia Moreno, Marina Shipilova and Bekah Stewart. The team is coached by Charley Hibbard. Hibbard is in her first season as the helm of the Crimson Storm. The team began strong as they won their first two matches, 5-4 against Texas A&M Kingsville and the University of Central Oklahoma. The team went on to play Cameron in a match that they lost 2-7. The team opened up their conference schedule on March 14 when they faced the Henderson State Reddies, where Masha Andriova, Natalia Moreno and Marina Shipilova won their singles competitions. In the doubles competition, the teams of Andrianova and Moreno, as well as Shipilova and Kotova, won their matches. Following the victory against Henderson State, the girls played Ouachita Baptist the next day. The team routed the Tigers 7-2 for a dominant win in which Andrianova, Moreno, Shipilova, Katova and Stewart won their singles matches. The team then faced Arkansas Tech. where they fell 3-6. The Tennis team has already had a better start than they did last year, where they started the season off with a 2-4 overall record. This is the team’s best start since 2011, when that team posted the same record through six games. The girls will get back into their schedule when they face East Central in Ada, Oklahoma, followed by matches against Harding (from Searcy, Arkansas) Oklahoma Baptist (from Shawnee, Oklahoma), South Eastern Oklahoma State and John Brown (Siloam Springs, Arkansas). The team is looking into getting back into the NCCAA tournament where they performed really well last year, falling just one game shy of making in it into the national championship game. 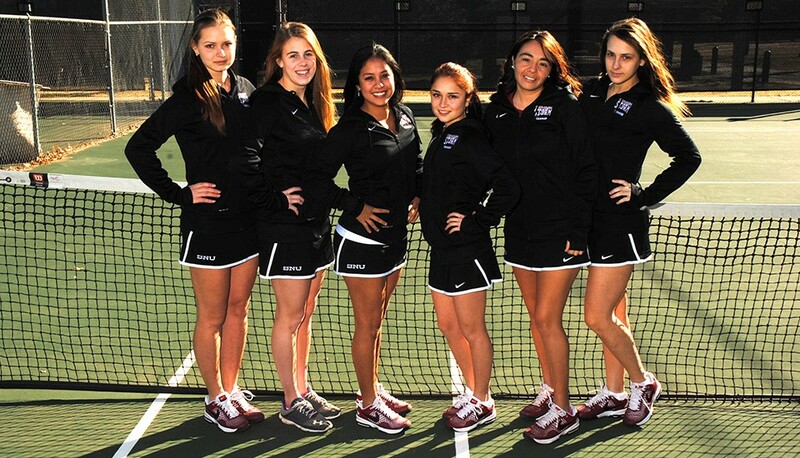 Keep up the good work, SNU Tennis!